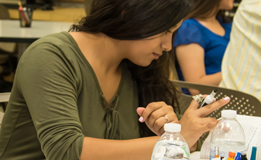 The Clovis Community College High School Enrichment program offers students in the 10th, 11th, and 12th grades an opportunity to enroll in college courses and receive college credit. Exceptions to this policy are outlined in the High School Enrichment application. Generally, courses of a remedial nature, courses for which failing grades were earned, and courses required for high school graduation do not meet the intent and spirit of the program. Students must meet all the necessary prerequisites for any course in which they wish to enroll. 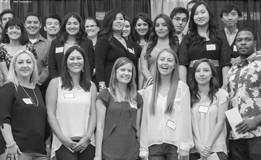 Students admitted to the program are treated as new students each semester attended; and are eligible to register during the open enrollment period. The ability to get ahead and earn college credit while still in High School. No tuition costs - Student is responsible for books and materials required for the course. A student may qualify for the program with a cumulative high school GPA of at least a 2.5 (Juniors and Seniors) and a 3.0 (Sophomores). Approval from the high school principal, a high school counselor, and a parent ARE REQUIRED. High school students must begin the process with their high school counselor. High School Enrichment application with all required signatures. 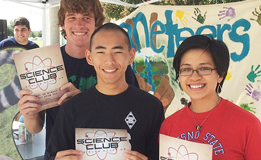 CCC Educational Enrichment Application Packet. Your high school counselor must assist you in the selection of your requested course(s). This application is required for each term you wish to take a course. A current and complete High School Transcript. FERPA release form (included in application packet) is required before a student can register for classes. 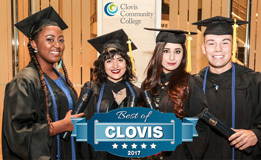 Bring completed application and all supporting documents to the Student Services Office located in AC2-133 for final approval from a Clovis Community College Counselor. Once your application has been approved by the college, it is your responsibility to go to the Admissions and Records Office (AC2-130) to register for your courses. 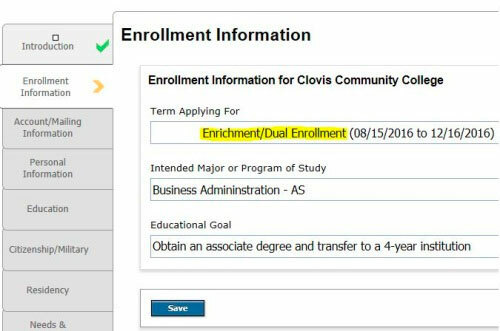 Not all courses listed in the Clovis Community College schedule are available to High School Enrichment students. We are unable to process incomplete applications and it is the student's responsibility to ensure the application is complete. Tuition and health fees are waived for students participating in the High School Enrichment program.